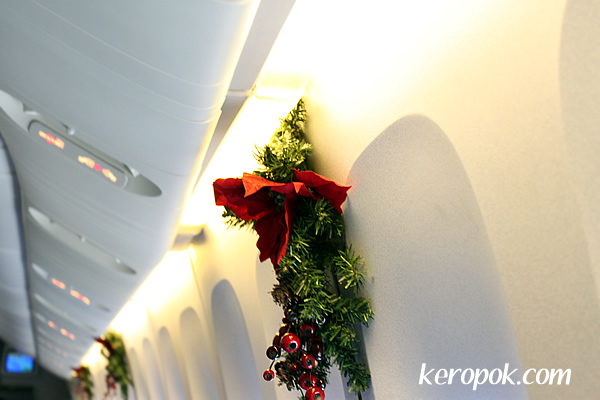 I was on a Singapore Airlines flight from Hong Kong to Singapore recently and noticed that they have put up Christmas decorations in the cabin! On the LCD Screen on the plane, you can see the timing of the city it flies from and the city it is flying to. 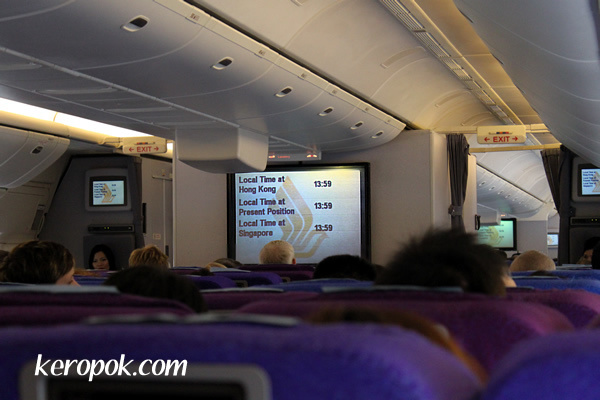 Do you know that current Singapore Time is not on the correct time zone? Singapore is on Daylight Savings mode 24x7. Jumping on to a cruise!